For National Poetry Month, we've chosen some favorites—new and old—from the archives of New Letters on the Air. 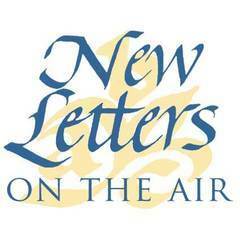 Click here to see all of New Letters' pieces. Check out PRX's Poetry Month Editors' Picks. NOTE: ALL EPISODES CAN STAND ALONE; NO OBLIGATION TO RUN THE ENTIRE SERIES. This five-episode series of one-hour programs features 17 of the men and women who have served as United States Poet Laureates over the past four decades, from the late Howard Nemerov (1963-64) to Donald Hall (beginning 2006). These conversations and readings of poetry vary from humorous to heavy, but are always thought-provoking, and are perfect for National Poetry Month in April, though they can be used anytime. Episode 5 features three former poet laureates from the 1980s: Anthony Hecht, Maxine Kumin, and Reed Whittemore, as well as the man who takes over as poet laureate in fall 2006, Donald Hall. SEGMENT A: Anthony Hecht (1923-2004), a New York City native, won the Pulitzer Prize in 1968 for his poetry collection THE HARD HOURS. In this segment, recorded at a 1987 Poet Laureate celebration in D.C., he talks with Robert Aubry Davis about his acquaintance with poet W.H. Auden, the significance of literary prizes on a poet's career, and the differences between performance poetry and poetry on the page. He also reads his amusing poem "Antipodosis." Hecht served as U.S. Poet Laureate from 1982-84. SEGMENT B: Reed Whittemore served twice as Consultant in Poetry--once from 1965-66, and again to replace the ailing Robert Fitzgerald in 1984-85. Following his last tenure, Whittemore became the Poet Laureate of his home state of Maryland. In this segment, also recorded at the 1987 Celebration of the Poet Laureate, Whittemore talks with Robert Aubry Davis about the influence of poetry during a time of war, and ponders poetry's political significance in a post-Beat society. SEGMENT C: Maxine Kumin, Poetry Consultant to the Library of Congress from 1981-83, lives in New Hampshire with her husband, and her poetry often references nature, family, and her love of horses. In the first part, Kumin reads poems from her 1973 Pulitzer Prize-winning book UP COUNTRY: POEMS OF NEW ENGLAND and talks with David Ray about her use of form and content. The second excerpt is from an interview by poet Michelle Boisseau, in which Kumin talks frankly about the 1998 horse-riding accident that nearly killed her and reads from her 2001 book THE LONG MARRIAGE. This segment finishes with newly appointed poet laureate Donald Hall reads "Ox Cart Man," included in his book WHITE APPLES AND THE TASTE OF STONE: POEMS 1946-2006. Twice the Poet Laureate of New Hampshire, Hall hopes to bring more poetry to public radio. Husband of the late poet Jane Kenyon, he lives on his ancestral farm near Danbury, New Hampshire.